Have you ever been in a yoga class when the instructor asks if you’d like to offer up the benefits of your practice to someone else? It happened to me recently, and I was confused by this sentiment. How can I share the stretching, strengthening and mind opening that I had just experienced in the past 60 minutes with someone who wasn’t with me in the class? It wasn’t like I could give them my flexibility, or share my shaking triceps from all the chaturangas I just did. 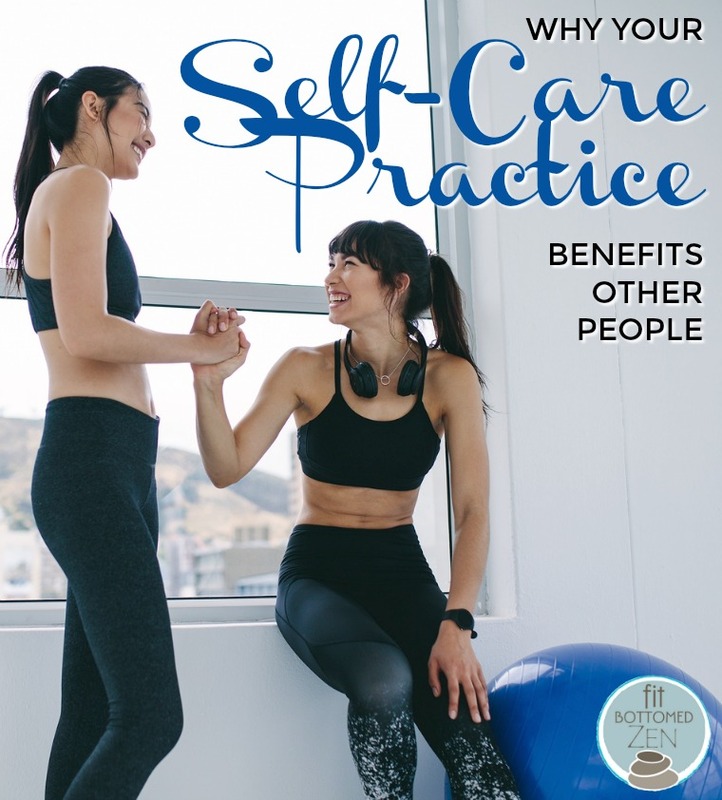 What did my instructor mean when she spoke about sharing the benefits of my practice? Her response came quickly as if it was ingrained her head. She spoke about the connection that we share with all things in nature — the oceans, plants, animals and other people. When we elevate our energy, it affects everything around us. This idea of everything being connected to everything is a big one in yoga, and it’s not that practical or easy to digest, especially in a world where it seems so little is connected lately. But I was appreciative of my instructor’s answer, and decided to ponder it on my own for a bit. When I rolled up my mat to leave, I was in my usual post-yoga state — a little calmer, and a lot more receptive than I am pre-class. I then started to see how being in this opened state that yoga puts me in, I was actually feeling kinder, more generous. I held the door for the person coming in as I was leaving the studio without even thinking about it. It just felt like the right thing to do. When I got home, I didn’t freak out over the huge mess my kids had created in the living room. I simply stepped over it as I made my way to the kitchen. Yoga creates space in the mind and body, and it was starting to become evident that when I feel more spacious, it affects how I behave. It makes me less reactive and definitely less stressed, which are qualities that affect everyone around me. It was starting to make sense, how my practice can benefit others. But to take it even further, I realized that this type of offering isn’t limited to only yoga. It includes any type of nourishment for our well-being. When I’m taking care of myself — whether it’s sinking into a book in solitude for an hour, or taking a barre class at the gym — that nourishment I’m giving myself can affect everyone around me because it affects how I show up in the world. When I engage in self care, I feel better about who I am, which allows me to better care for those around me. On the flip side, if I’m depleted it will only make me more irritable and impatient and less of a joy to be around. So while this idea of us all being connected is quite lofty, it can be brought down to earth once we understand that it’s a simple trickle-down effect — when we’re taken care of, we can take care of and be of service to others. Amazing post! I love the way that you have described your post. Thanks for sharing.